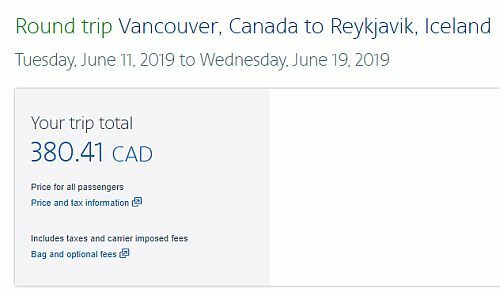 American Airlines has dropped the price of a few of their June and October 2019 flights from Vancouver to Reykjavik, Iceland down to $381 CAD roundtrip including taxes. The flights have 1 stop each way, in Dallas (80 minute layover on the way there, and 2 hours on the way home). Vancouver does have 2 airlines with *nonstop* flights to Reykjavik, Iceland (WOW Air and Icelandair). Although it's kind of just 1 airline now, as the Icelandair Group recently purchased WOW Air, who will continue to operate as their own brand. These AA flights are a fair bit cheaper than either WOW or Icelandair, after you take baggage fees into consideration. But it wouldn't be too surprising to see some very well priced non-stop flights in June from one of these airlines at some point. 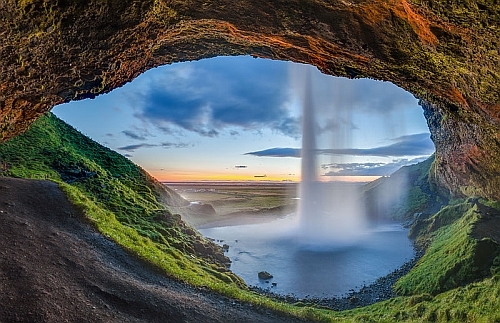 vancouver, yvr, flight deals, europe, northern europe, american airlines, nordic countries, reykjavík, iceland, kef and reykjavik.